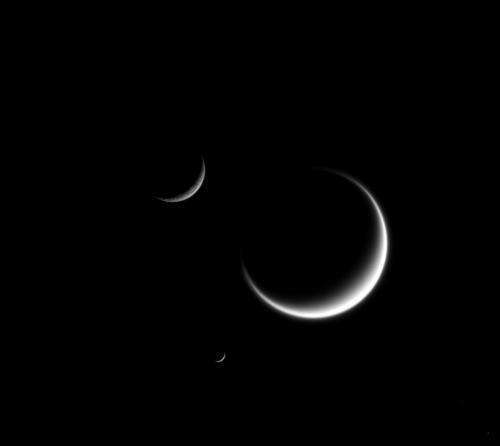 Sure, you've seen the Jovian moons do their dance, and Titan is old friend for many a star party patron as they check out the rings of Saturn… but have you ever spotted Triton or Amalthea? One of the key challenges in spotting many of the fainter moons is the fact that they lie so close inside the glare of their respective host planet. For example, +11th magnitude Phobos wouldn't be all that tough on its own, were it not for the fact that it always lies close to dazzling Mars. 10 magnitudes equals a 10,000-fold change in brightness, and the fact that most of these moons are swapped out is what makes them so tough to see. This is also why many of them weren't discovered until later on. But don't despair. One thing you can use that's relatively easy to construct is an occulting bar eyepiece. This will allow you to hide the dazzle of the planet behind the bar while scanning the suspect area to the side for the faint moon. Large aperture, steady skies, and well collimated optics are a must as well, and don't be afraid to crank up the magnification in your quest. We mentioned using such a technique previously as a method to tease out the white dwarf star Sirius b in the years to come. What follows is a comprehensive list of the well known 'easy ones,' along with some challenges. 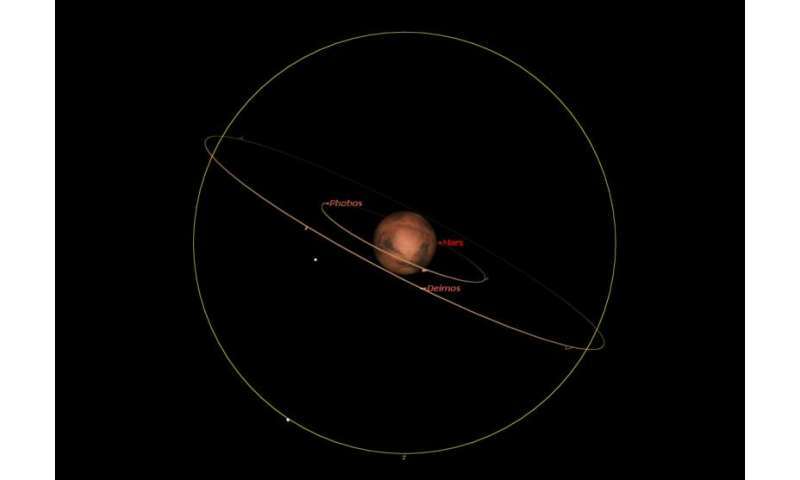 The two tiny moons of Mars are a challenge, as it's only possible to nab them visually near opposition, which occurs about once every 26 months. Mars next reaches opposition on May 22nd, 2016. Though the largest planet in our solar system also has the largest number of moons at 67, only the four bright Galilean moons are easily observable, although owners of large light buckets might just be able to tease out another two. Jupiter next reaches opposition March 8th, 2016. Note that Amalthea was the first of Jupiter's moons discovered after the four Galilean moons. 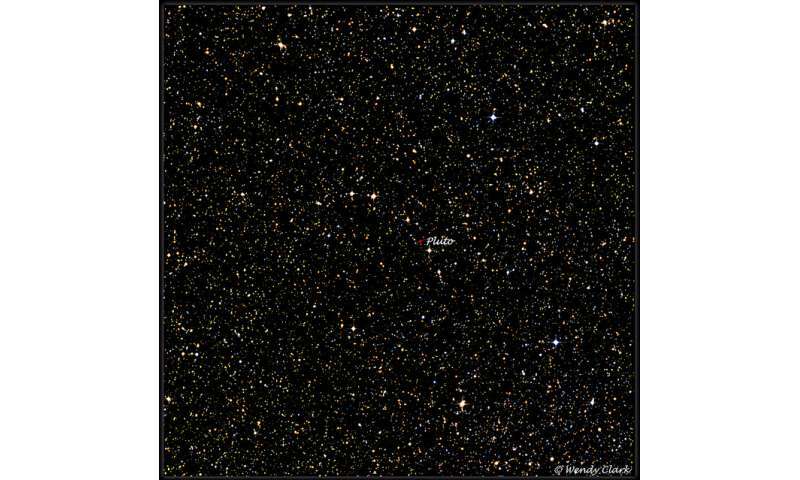 Amalthea was first spotted in 1892 by E. E. Barnard using the 36" refractor at the Lick Observatory. Himalia was also discovered at Lick by Charles Dillon Perrine in 1904. Hyperion was discovered by William Bond using the Harvard observatory's 15" refractor in 1848, and Phoebe was the first moon discovered photographically by William Pickering in 1899. All of the moons of the ice giants are tough. Though Uranus has a total of 27 moons, only five of them might be spied using a backyard scope. Uranus next reaches opposition on October 12th, 2015. 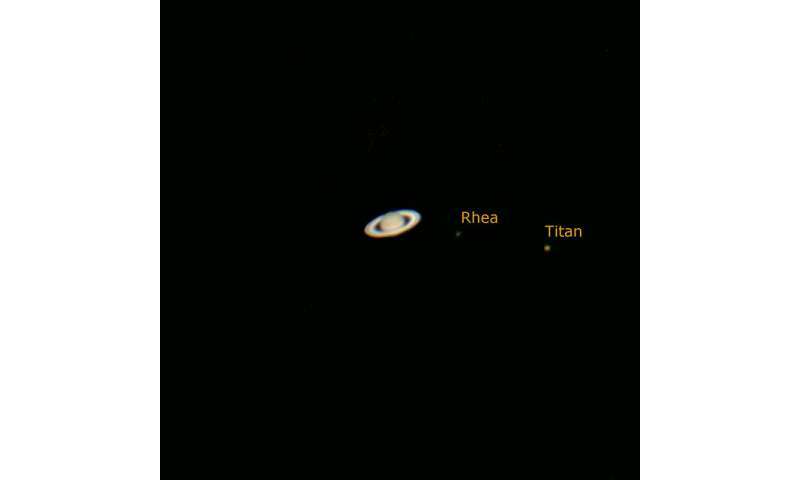 The first two moons of Uranus, Titania and Oberon, were discovered by William Herschel in 1787 using his 49.5" telescope, the largest of its day. With a total number of moons numbering 14, two are within reach of the skilled amateur observer. 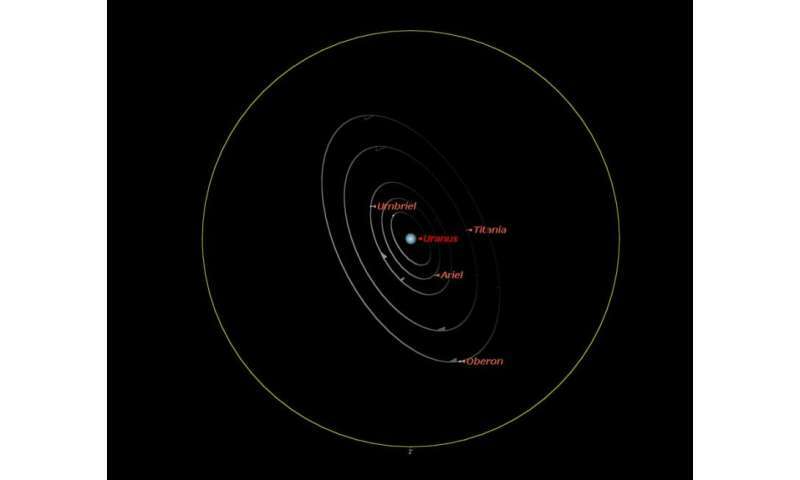 Opposition for Neptune is coming right up on September 1st, 2015. 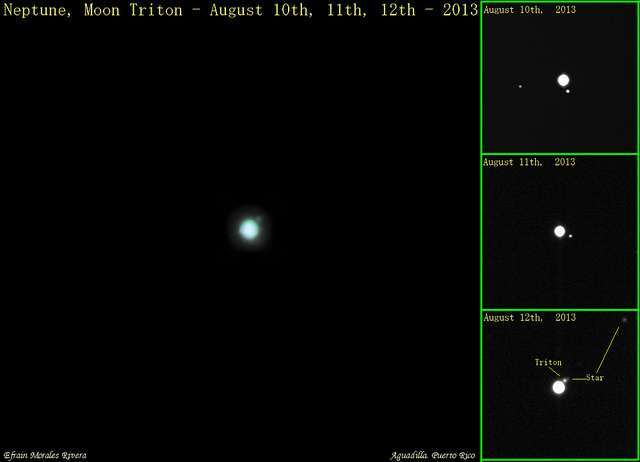 Triton was discovered by William Lassell using a 24" reflector in 1846, just 17 days after the discovery of Neptune itself. Nereid wasn't found until 1949 by Gerard Kuiper. Yes… it is possible to spy Charon from Earth… as amateur astronomers proved in 2008. In order to cross off some of the more difficult targets on the list, you'll need to know exactly when these moons are at their greatest elongation. Sky and Telescope has some great apps in the case of Jupiter and Saturn… the PDS Rings node can also generate corkscrew charts of lesser known moons, and Starry Night has 'em as well. In addition, we tend to publish cork screw charts for moons right around respective oppositions, and our ephemeris for Charon elongations though July 2015 is still active.